Problems involved in the classification of elements of grain mixtures and the determination of their varietal membership for the purpose of identifying grains infected with fusarium wilt are considered. 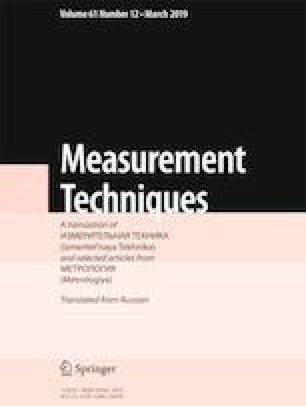 The problems are solved based on a combination of spectral measurements conducted by different optical methods in different ranges of wavelengths. A system of measuring compound reflection and transmission spectra in the course of processing a nonuniform flow of elements of grain mixtures is described. An analysis of spectral measurements with the use of neural network classification for classification and dimension-reducing algorithms is performed. Dependences of the estimates of the classification errors on the number of features determined with a reduction in the dimensions of the initial measurements are presented. Estimates of the errors in a classification of the elements of the grain mixtures for different combinations of optical methods of spectral analysis are obtained. Translated from Metrologiya, No. 4, pp. 17–36, October–December, 2018.